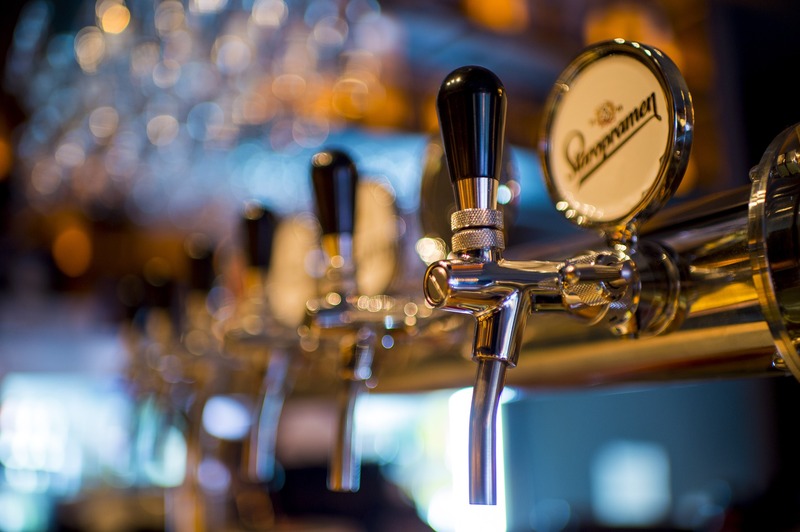 Bars and restaurants airside are not subject to the same licensing laws as the rest of the UK as currently they are deemed as exempt. There have been rumours of a crackdown after airlines called for action to be taken on the numbers of air rages incidents caused by drunken behaviour. The government yesterday launched a “call for evidence” to review whether airports should have to abide by the usual licensing laws which restrict alcohol sales before 10am. “Air travel often marks the start of an exciting holiday abroad, and airports are places to eat, drink and shop as we wait to board our flights,” said Victoria Atkins, minister for crime, safeguarding and vulnerability. Most of the news articles focused on the sale of alcohol although some mentioned the ‘supply’of alcohol which could impact the airline lounges as well. Whilst I agree that action needs to be taken against drunken behaviour in aircraft I don’t believe that penalising everyone is the way forward. Even if you restricted sales of alcohol there is nothing to stop people arriving drunk or consuming duty-free alcohol, in the airport (although it not against the rules it is not often policed). If I am going on holiday I see nothing wrong with being able to have bucks fizz at breakfast time. What do you think the answer is to drink-related incidents? Let us know in the comments below or on social media. So you fancy going “almost” round the world? For under £2,000 you can go from Spain to New York in business class – the long way round! Using a combination of Finnair, Japan Airlines and Malaysia Airlines. It will also earn 720 BA Tier Points and a nice sum of Avios. You would obviously need to get to Malaga and home from the big apple but that is easily done for cash, or even better Avios or miles. Oh and how about a cheeky trip half way to Oz? This alone would earn another 840TP. So for £3,000 you have seen a lot of the world in luxury and almost earned British Airways Gold membership in one hit. Sounds like a plan doesn’t it? Emirates is to launch the world’s first “biometric path” which will offer customers a seamless airport journey in Dubai International airport. 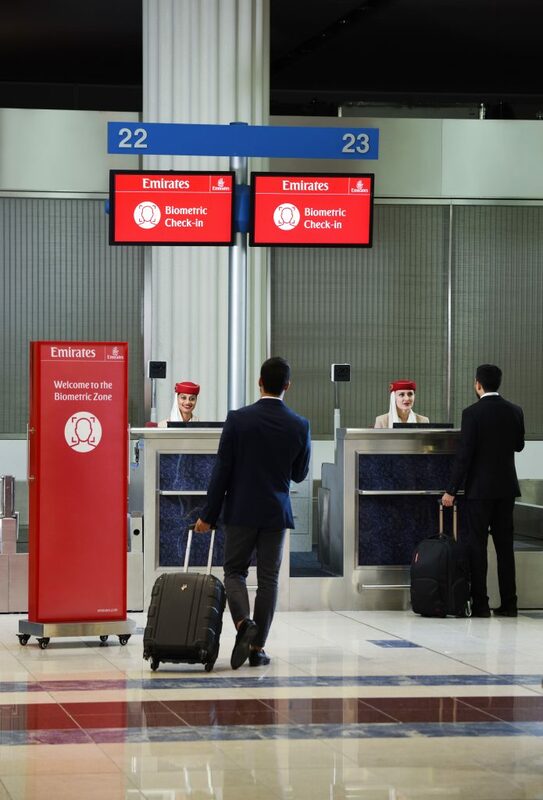 Utilising a mix of facial and iris recognition, Emirates passengers can soon check in for their flight, complete immigration formalities, enter the Emirates Lounge, and board their flights, simply by walking through the airport. The latest biometric equipment has already been installed at Emirates Terminal 3, Dubai International airport. This equipment can be found at select check-in counters, at the Emirates Lounge in Concourse B for premium passengers, and at select boarding gates. Areas where biometric equipment are installed will be clearly marked. Trials for the Smart Tunnel, a project by the General Directorate of Residence and Foreigners Affairs in Dubai (GDRFA) in collaboration with Emirates, was launched on 10 October. It is a world-first for passport control, where passengers simply walk through a tunnel and are “cleared” by immigration authorities without human intervention or the need for a physical passport stamp. Once its internal tests are completed, Emirates will shortly launch trials for biometric processing at the other key customer points at the airport – check-in, lounge, and boarding gate – and subsequently at transit counters/gates, and for its chauffeur drive services. The airline’s “biometric path” will cover departures, arrivals, transit, chauffeur drive connections, and lounge access in Dubai. 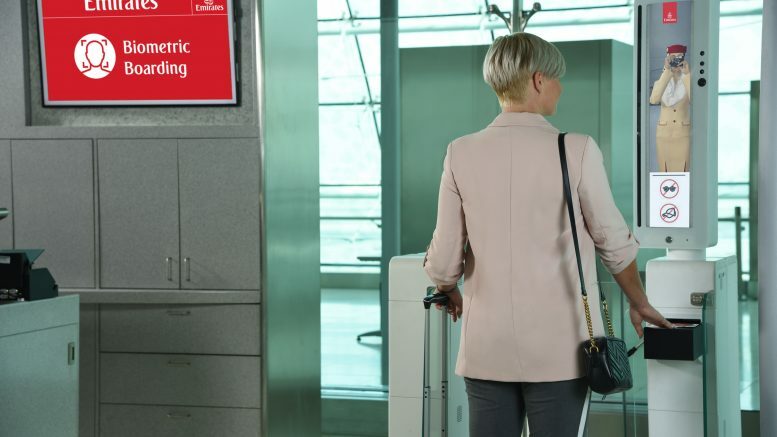 Initially focussed on First and Business class travellers, Emirates intends to speedily extend the “biometric path” to Economy class travellers in Dubai, and in the future potentially to other airports outside of Dubai, and also for its own dedicated crew check-in facility. 6 Comments on "News & offers: Drinking in airports, RTW business class fare (or almost) & Emirates launches new technology"
The Delhi round trip is an interesting way to get Gold status in one hit but the article doesn’t give any clue as to how to book such an itinerary. Presumably needs to be read with articles on tier point runs? 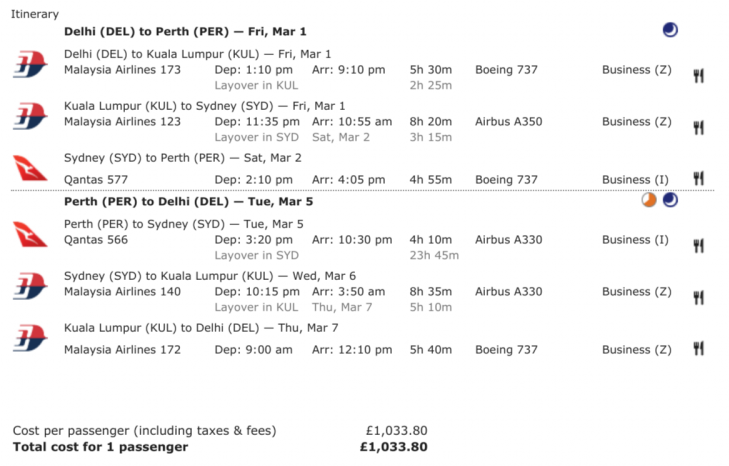 Price is incredibly low but you’d need to get to Delhi and back (using the Helsinki-Delhi run!?). Quite a while spent inside a metal tube and you don’t really ‘see’ much of the world apart from airport lounges. How would these routings work with some decent 48 hour stopovers? The ones posted were just examples of routes and prices 🙂 stopovers are permitted on both fares so should be fine. I wouldn’t fancy DEL to KUL in a Boeing 737 for five and a half hours! Re: Drinking in airports. At JFK the licensing laws cover the lounges as well, as we found to our momentary dismay when taking a UC VS day flight departing on a Sunday morning. I can’t imagine it would be different here.